John Krasinski's A Quiet Place took the number one spot at the box office over the weekend, surprising many and earning $50 million in the process. And now, screenwriters Bryan Woods and Scott Beck say that they already have some ideas about making A Quiet Place 2. A Quiet Place is being praised for being an original horror movie and practically plays out like a silent film, with a focus on masterful sound design that raises the heartbeat of viewers. In a new interview with Fandango, A Quiet Place screenwriters Bryan Woods and Scott Beck were asked about the possibility of a sequel. Without spoiling anything from the movie, the ending is left open, which could very well lead to a sequel, which viewers would fully embrace at this time. And now that the first movie has already been such a success, Paramount will undoubtedly want to do a sequel. Beck had this to say. "Definitely...There are so many discarded set pieces, too, just hiding out on Word documents on our computer. So, yeah, there are certainly so many stories you could tell. It's just really, at the end of the day, who are the characters in this and what does this situation mean to that dynamic?" 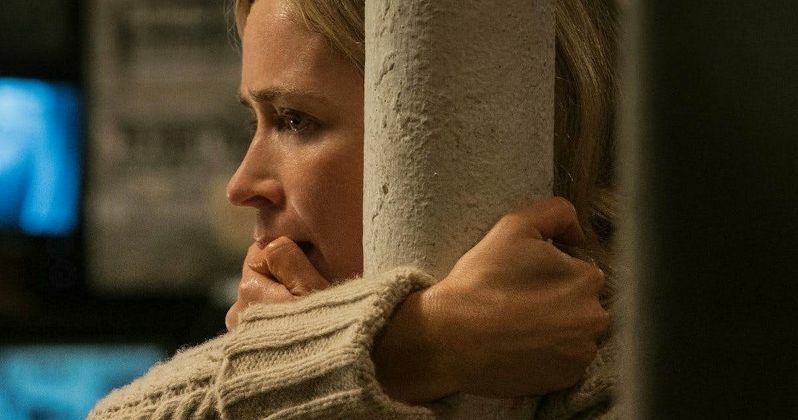 While a sequel to A Quiet Place seems like a good idea now, feelings could change as the movie goes through its theatrical run and home video release. It might be best to just leave it as it is, much like Jordan Peele's ideas about a sequel to Get Out. Some fans wonder why anyone would want to mess with anything that many already believe to be perfect. Basically, it's pretty early to decide if a sequel to A Quiet Place will be made. In other A Quiet Place news, horror legend Stephen King has publicly praised the movie and especially, its use of silence. King is not alone with praising the new horror movie. Jurassic World 2 star Chris Pratt also took to social media to praise A Quiet Place. He said that he couldn't believe how "freaking dope that movie was." Pratt added. "I know that I'm not supposed to be driving and shooting a video at the same time, but I'm stuck in traffic. I just got out of A Quiet Place, you have to go see this movie! Just cancel your plans, stop what you're doing, and go to the movie theater." The good reviews for John Krasinski's A Quiet Place are pretty much unanimous, so talks of a sequel are inevitable. But the question really is: should they make a sequel? Even with the movie only being in theaters for a few days, there's already a lot to live up to. But, Bryan Woods and Scott Beck might have some worthwhile ideas hanging out in their Microsoft Word documents. You can read the rest of the interview with Bryan Woods and Scott Beck in regard to A Quiet Place sequel over at Fandango.